Spectacular panoramic ocean views! Oceanfront Duplex. 4 BR, 3 baths. 2BDS (ground level) * Q,S * Q,S (middle floor)* K (top floor). Ground floor oceanfront bunk room and full bath with direct beach access, patio with table and chairs, gas and charcoal grills, enclosed hot/cold outdoor shower with dressing area. Main floor: 2 queen- plus-single bedrooms with TV's, DVD's, and shared bath.Great room including flat screen TV, DVD, well-stocked kitchen; deck with tableand chairs, direct beach access. Top floor: Spacious oceanfront king master suite, walk-in closet, master bath with large Jacuzzi overlooking ocean; TV, DVD, private deck with chairs. Overall: Central air and heat, ceiling fans throughout, dishwasher, washer/dryer, microwave, 5 CCTV's, and WIFI. Crib, highchair and children’s dishes. Available Year 'Round. Walking distance from shopping, restaurants, and pier. Minutes to golf. Linens provided with weekly rentals. The West Unit of this home is also available as a Vacation Rental. Rent entire duplex (8 bedrooms, 6 1/2 baths with connecting interior doors) and receive $100 off, subject to availability. Great for large families: 2 kitchens and dining areas, 3 living areas, 2 washer & dryers. See Crystal Charm West. RENTS SATURDAY TO SATURDAY. NO SMOKING! NO PETS! "We had a wonderful time an plan on making a tradition of it. It was my wife and my 1yr old babygirls first time seeing the ocean an we couldnt have picked a better place. Thx for such a great vacation. " Thank you for your review, Michael. It warms our hearts to hear you and your family enjoyed your time at Crystal Charm East. Emerald Isle is a very special place and we hope to see you for many years to come! "With a couple exceptions, one of the best places we've rented in our 20+ years of coming to EI. Great floor plan, lovely furnishings and decoration, well equipped kitchen. Living area was a bit small for 7 adults, but adequate. The lower level was great for giving folks a little privacy, with its own outdoor seating area. My only real complaint is that the deck was not fully covered. We were there during the hottest week of the season so far, but still would have enjoyed a shady deck. Unfortunately, deck only provided shade for about 2 people at any given time. Wish owners would consider covering the entire deck on the first floor. Overall, tho, I would highly recommend this property!" Thank you for your kind review, Bev. It's very exciting to hear that we could provide one of the best properties you've rented in 20+ years! Crystal Charm-East certainly is charming and we are happy your family enjoyed it so much. As you mentioned regarding the desire for a covered deck, this is something we can suggest to the homeowners. We look forward to seeing you again next summer! "We really enjoyed the house and the location was perfect!!" Had fun and relaxed with family. "Great area for fishing, shopping, people watching on beach, shell collecting, surfing, playing in ocean, skin boarding; Would like a few taller chairs so we older folks can see over the rail to people/family watch and action out in the surf." 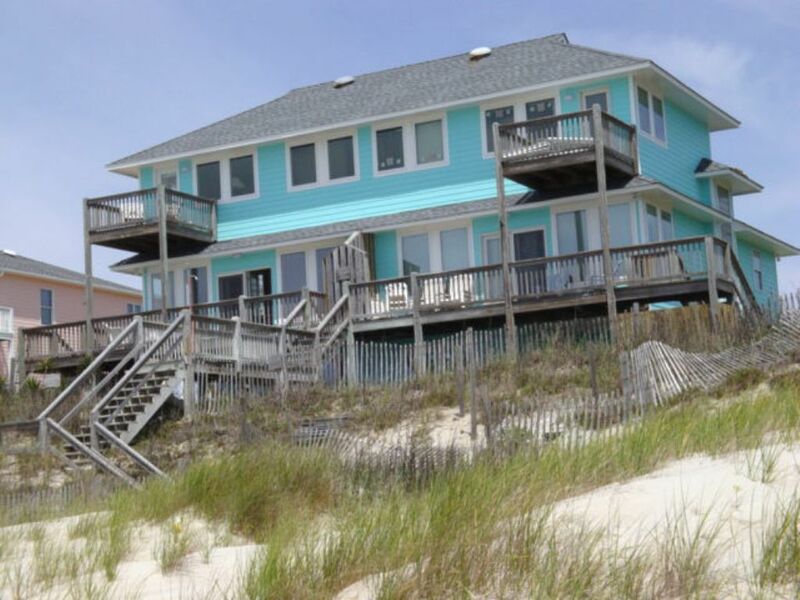 "We've rented many different houses at Emerald Isle, and Crystal Charm East is our favorite. The location is great - you are close to everything without feeling the bustle of the main drag. The house is very comfortable and nicely furnished. Because we have teenagers we really appreciated the wireless internet access. I did feel some anxiety about the ceramic stovetop and the need to clean it after each use. And we had an ant problem at the beginning of the week that was quickly solved by a can of Raid - we didn't call the rental office about it since they disappeared in a day. The only suggestion I would make would be to add some beach items - sand chairs, boogie boards and an umbrella. We'll definitely rent this house again!" "Our rental from Shorewood Real Estate for Crystal Charm East began with phone calls, in which was very pleasant from the beginning. Upon arrival at Shorewood R.E., we were pleasantly and professionally greeted, and the entire experience from there on was fabulous! We were surprised with the features of the home because the photos did not do it justice!! The location of the home was perfect, and the amenities were fantastic! We came with 9 people, yet the home was spacious. I would highly recommend Shorewood Real Estate and Crystal Charm East to anyone who wants their 'space', and to those who want closeness. The best feature of the home was the upstairs Master suite! It was really spacious and secluded. The ONLY down-fall of the vacation was only spending one week there! We had a wonderful time! My overall rating of both Shorewood Real Estate and Crystal Charm East is a '10+'!! We have rented numerous homes and condos over the past 15 years, yet this was the best of all!!" My new home every March! "The service we receive from Shorewood is always great. They helped me review all the homes that fit my interests, and we landed on Crystal Charm East. The home was in the perfect location, and was absolutely beautiful. I am very picky about cleanliness, and I have to say that this home was perfect. Not only was it very clean, it was beautifully decorated, and equipped with everything we needed. The ocean view was perfect, especially the view from the master bedroom. What I liked best was the master bedroom view. What I liked least was that I had to go home!!! I plan to come back every March." 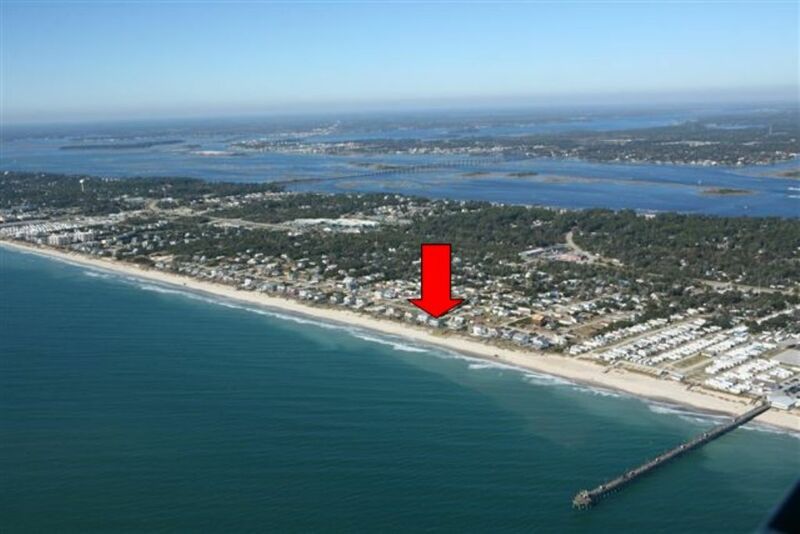 "Well located, directly on a quiet part of the beach, not far from the grocery store. Beautiful ocean views. Correctly furnished. A gas grill would have been a plus. Consider the west side for extra room." "This is the first time we "splurged" on an ocean front property. The price was reasonable, and the house was immaculate! We loved that we were within walking distance to the pier...the boys were able to fish and just walk home when they were done. I took one star off because the proximity of the house to the pier, although a plus, was also a minus.....after a storm blew through, LOTS of trash blew up onto the beach. By "trash" I mean cigarette butts, beer cans and bottles, grocery bags, drink bottles, snack wrappers, dog feces (yes, you read that right! There was dog poop in the water and on the beach!!!) Luckily, the plusses outweigh the minuses, but trash and poop on the beach is a huge turn off!!!" "What a lovely home! We enjoyed our week at the beach with our family ... just wished we could have stayed longer! Many thanks to the owner for allowing us to share their beautiful home with them! Hoping to be able to visit again in 2010!"